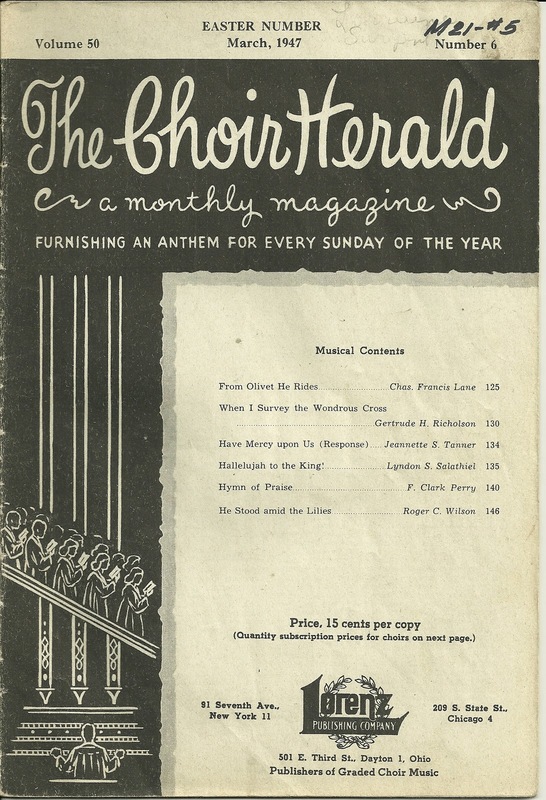 Brief biography of Reverend Henry J. Zelley in the March 1947 issue of The Choir Herald. Rev. Henry J. Zelley, D.D., a member of the New Jersey Methodist Conference, retired after having served fifty years in the pastorate. He has written more than twelve hundred poems and hymns, some of which have been used in collections of Gospel Hymns. Among the most popular are "Heavenly Sunlight", "Like a Mighty Sea", "He Brought Me Out", "Let the King Come In", "I'm Anchored on the Rock of Ages" and "Because He Told Me So". 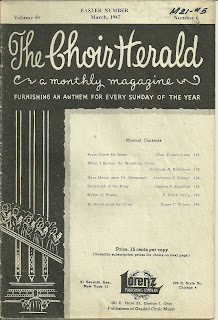 A recent book of gospel songs compiled by Rev. 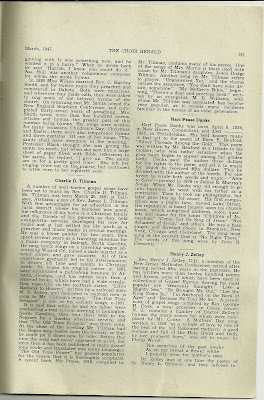 George H. Cook, a local preacher in Ocean Grove, New Jersey, contains a number of Dr. Zelley's hymns, the music scores for which were composed by Mr. Cooke. A Mother's Day song, written in 1918, "as a tribute of love to one of the best of the 'old fashioned mothers', a good woman and full of the Holy Ghost and faith, by her youngest born," was sent to music by Philip Wuest. Dr. Zelley was at one time the pastor of Dr. Henry L. Gilmour, and they labored together in camp meetings and Epworth League rallies. 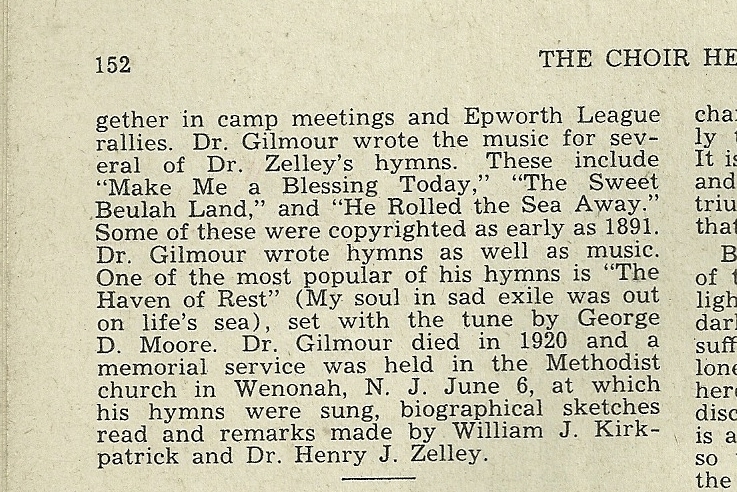 Dr. Gilmour wrote the music for several of Dr. Zelley's hymns. These include "Make Me a Blessing Today", "The Sweet Beulah Land", and "He Rolled the Sea Away". Some of these were copyrighted as early as 1891. Dr. Gilmour wrote hymns as well as music. One of the most popular of his hymns is "The Haven of Rest" (My soul in sad exile was out on life's sea), set with the tune by George D. Moore. 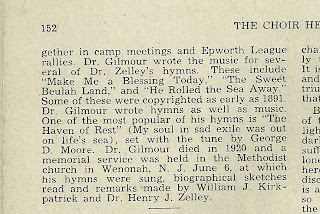 Dr. Gilmour died in 1920 and a memorial service was held in the Methodist church in Wenonah, N. J., June 6, at which his hymns were sung, biographical sketches read and remarks made by William J. Kirkpatrick and Dr. Henry J. Zelley. Henry J. Zelley was born 15 March 1859 in Mt. Holly, New Jersey, the son of Noah Ridgeway Zelley and his wife Mary Jane (Sever) Zelley, both of New Jersey. Henry's paternal grandparents were, I believe, Aaron L. Zelley and his wife Ann Nancy (Ridgeway) Zelley. Henrys maternal grandparents were, I believe, Joseph John Sever and his wife Elizabeth (Sharp) Sever. My hesitation comes from conflicting online sources. Rev. 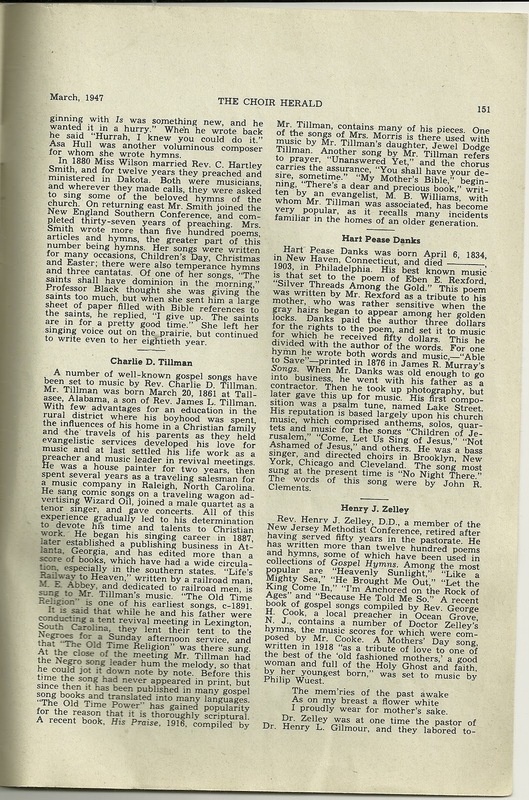 Henry J. Zelley married, according to one source, Ida Shreve and had children Clara M. and Edward Shreve Zelley. Again, I found some conflicting information.